Welcome to our new website. You may have noticed our website has undergone a major overhaul. Thanks for visiting and check back often to see what’s new! 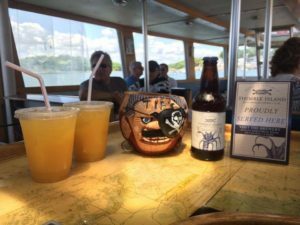 If you get thirsty while on board just visit the “Sand Bar” where we offer wine, cold beer, rum punch and spirits! ID REQUIRED! The Sand Bar is the only bar you can get stranded on in Stony Creek. We also have bottled water and soda.